March 4th, 2019 - Does My Bomb Look Big In This? 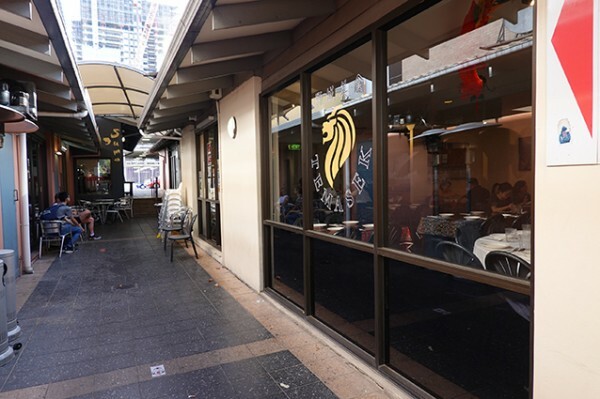 Temasek is a Parramatta icon. 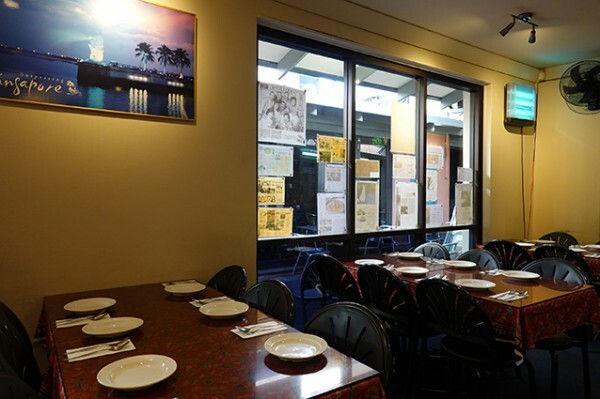 It was established in 1992 – coincidentally the same year I completed high school – and it has been kicking on ever since in the Roxy Arcade. I rocked up last week, bang on six o’clock, and watched the cream-walled dining room rapidly fill up around me as I waited for my dining companion. 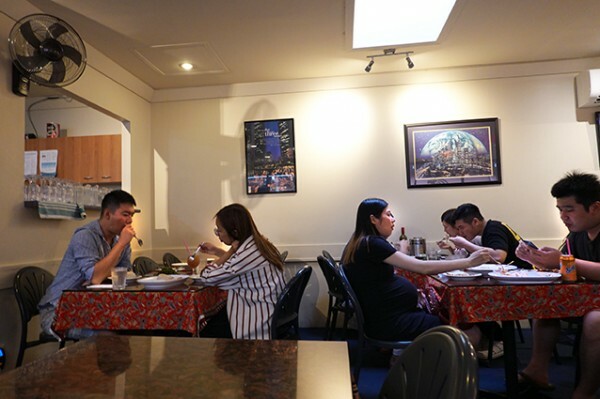 The room’s only decorations are framed Singapore tourism posters, and a few splashes of red left over from lunar new year celebrations. If you ask anyone what Temasek does best, they’re likely to say: laksa. 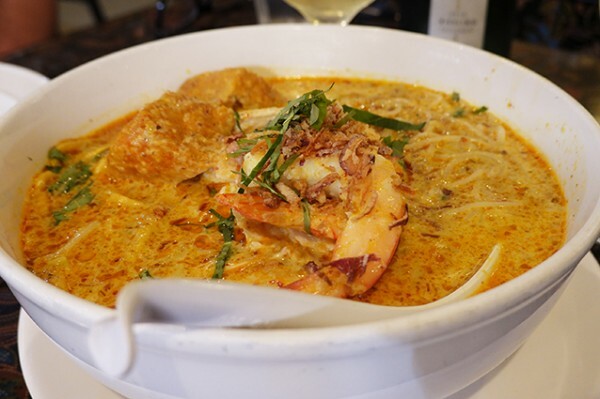 Temasek’s Laksa Singapura with Prawn & Chicken ($20.80) is indeed a thing of beauty. Rather than the usual coconut milk-dominated broth, this one tastes of galangal and lemongrass; garlic and chilli. Laid on your choice of egg or rice vermicelli noodles (or both) you'll find a generous amount of moist chicken breast slices, topped off with some king prawns, fried shallots and fresh herbs. 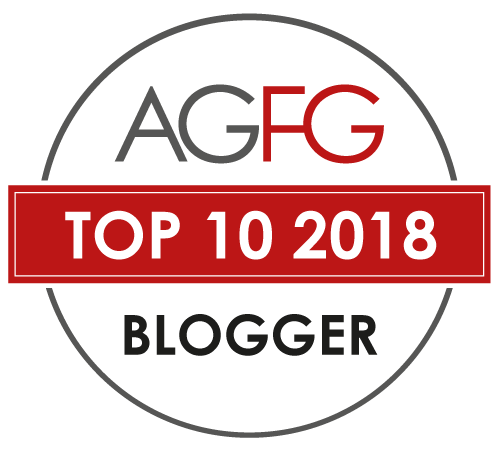 Deep fried tofu makes for the best crouton, with each spongy bite delivering you a hot blast of fragrant soup. 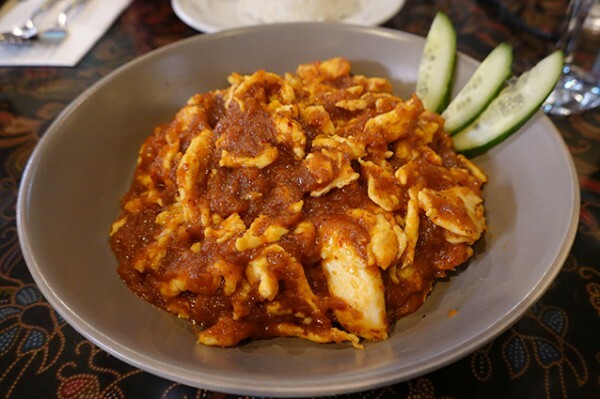 By contrast, to my palate the Sambal Chicken ($22.80) is an inedible disaster. 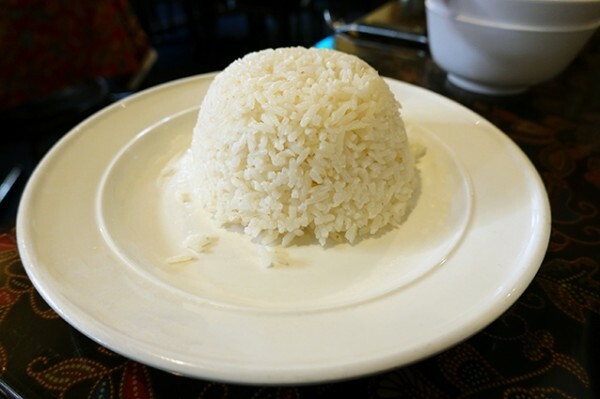 Drawn from the Sambal section of the menu, which has a “spicy dishes” byline, it comes out tasting more like my terrible childhood memories of Mama's making Kan Tong. The sweet tomato-based sauce comes despite us ordering it extra hot. Our waitress is - at best - indifferent to me pointing this out, despite having had me insist she write down on the order pad that we wanted the dish extra spicy. Eventually a second waiter gets us a (slightly) more satisfactory response with owner and chef Susan Wong popping out to explain it’s a Nyonya-style dish rather than restaurant-style, and the error was ours – we needed to say extra spicy AND less sweet to get a dish we could actually eat over mounds of lightly flavoured Coconut Rice ($2.70). Good to know, but my feeling is it should either be explained on the menu or by more competent staff. The next table had a similarly obtuse answer when they asked if the restaurant accepted card payments. 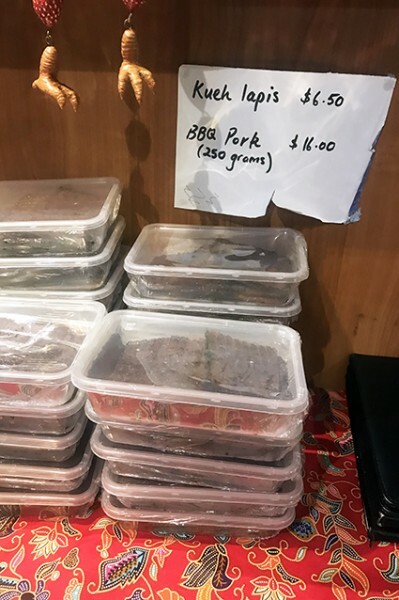 Despite being told they do not by the same waitress, it turns out they do, just for purchases over thirty dollars; and not for the delicious thin slices of charry BBQ Pork ($16/250grams) stacked in containers by the cash register. By contrast, Sambal Belacan Kangkong ($19.80) is a relief. 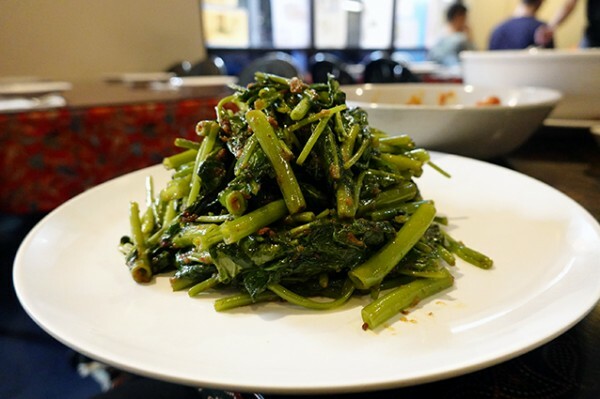 The spicy water spinach dish is intensely savoury, with the aroma and taste of belacan (shrimp paste) keeping my cutlery returning. 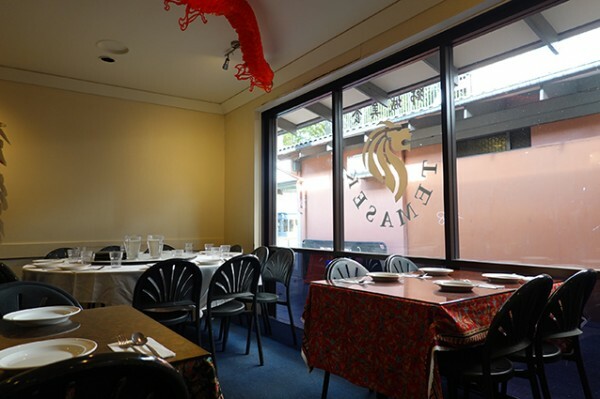 Sitting somewhere between the two extremes is the Singapore Chilli King Prawns ($27.80). 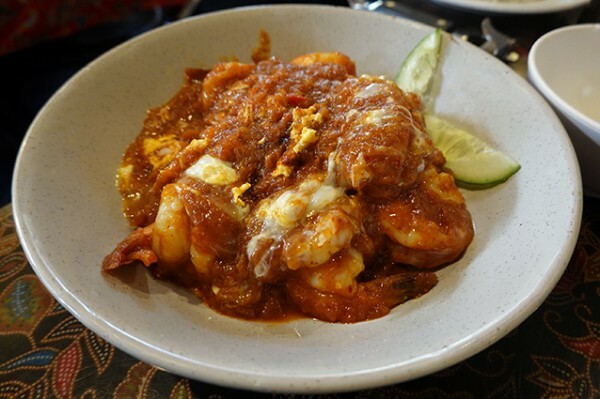 Made on the same sauce as their Singapore chilli crab - which has to be ordered in advance – this peeled prawn plate plays tangy tomato sweetness against savoury chilli heat much better than the earlier sambal. 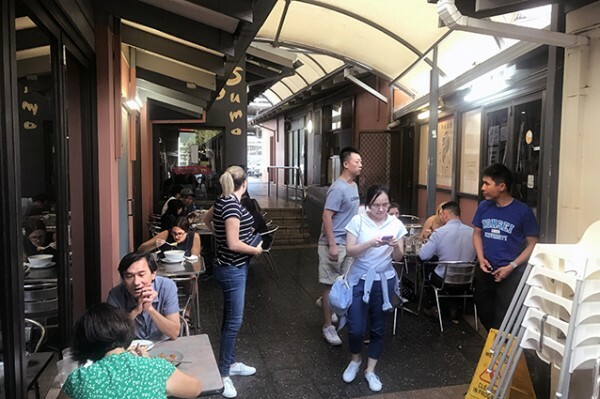 As I leave, the rapidly darkening, grungy lane-way has filled up with diners slurping laksa: they know what time it is.